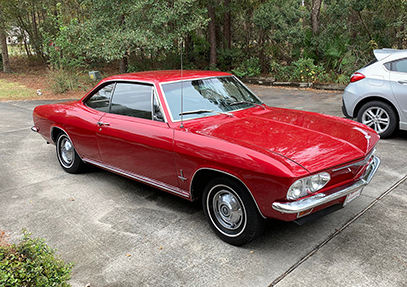 1965 Corvair 1965 MONZA FOR SALE: TWO-DOOR COUPE, 140 ENGINE, AUTOMATIC, 14" RALLY WHEELS, AM-FM 8-TRACK WITH CB RADIO, MIST BLUE, RIDES BEAUTIFULLY, SOLID, STRAIGHT BODY WITH NO RUST, HAVE MANY MANUALS. BULLS GAP, TN. 423-235-5054. $15,500 INVESTED, TAKE $14,000. 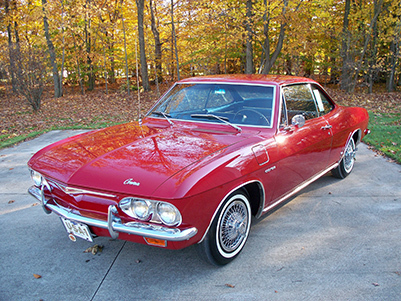 1965 Corvair Monza Coupe B = F, I = G, M = F, OA = F. 5 new tires, new battery, new wheel bearings and seals. Updated dual master cylinder. Runs good, stops good, drives good. Automatic transmission. Car located in S. Georgia. Asking $5000. Call (352)812-6133 and ask for Joe. 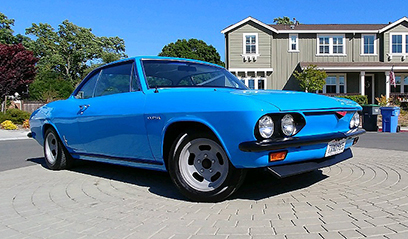 1965 Corvair Monza 1965 corvair Monza convertible 110hp auto trans runs & drives good. 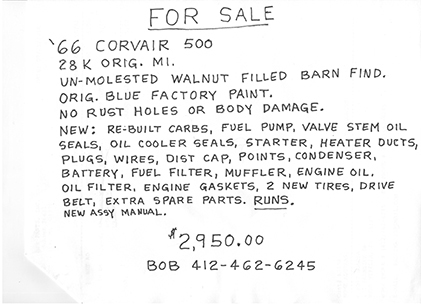 Lots of new parts: floor pans, tires, interior, top, brakes, etc. Paint is fair. 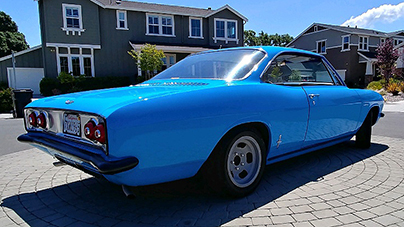 FL car asking $10.500. Call (321)259 4934 for more pictures & details.